Spin This: "Runaway," "Los Angeles," "Recreational Love"
The 2010 tribute album to Daryl Hall & John Oates may have been a contractual obligation LP from Blue Note, since The Bird and the Bee hadn’t dropped a new album until now. 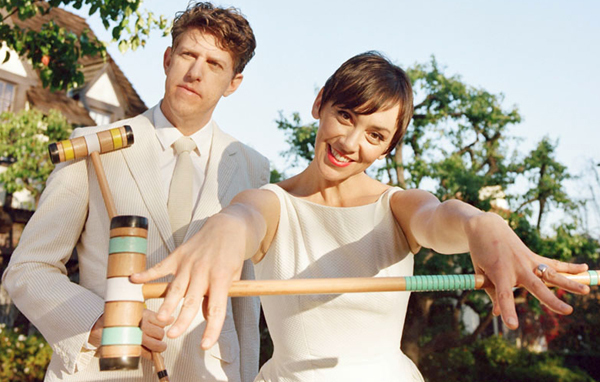 With Recreational Love, their first on Polydor, the indie pop duo sported by lead vocalist Inara George and behind-the-scenes super producer Greg Kurstin go for all-new material. Kurstin, who has been living up to his “bee” status lately with powerful productions on Tegan & Sara’s exceptional LP Heartthrob and Sia’s “Chandelier,” doesn’t hold back his hot-demand talents on this New Wave, synthy electropop effort. The bubbly “Young and Dumb” dances around like a Eighties bright-color flashback, with George shooting out girly coos and chants of “wrecking ball” in the chorus. Kurstin then breaks every rule known to pop music when he tosses in a “wrecking ball” of his own on the song’s last minute with a Mozart-possessed piano solo. Juicy surprises await the ear as the album plays on: The title track dances with cool Miguel-esque R&B vibes; “Will You Dance?” drips with an eargasm of radio-ready pop; “Jenny” plays with Prince’s Minneapolis funk; “Los Angeles,” a dreamy portrait of ‘80s pop confetti akin to Hall & Oates’ “I Can’t Go for That,” is as good as a tribute to the West Coast destination as it’s gonna get: “Los Angeles/Don’t ever let them change you.” Then there’s “Runaway,” a song dressed in Debbie Harry vibes (a la “Rapture”) and the coolest of synth-charged R&B. 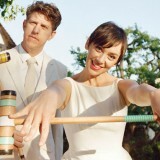 Across much of the ten-track collection, you hear echoes of Tom Tom Club, David Bowie pop, trancy Purity Ring odysseys and more of their exotic explorations into indie pop (“Please Take Me Home”). By the time the album puts the breaks on the driving uptempo rhythms on the final two tracks, they’ve run a good marathon and are just cooling down. Those tracks may not be knockouts, but they aren’t letdowns either. 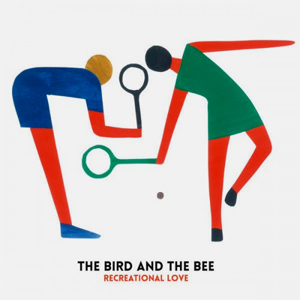 Recreational Love is burdened down with some silly rhymes and lyrics here and there, but it’s easily their best album so far. It doesn’t copy the strange ethos of their 2007 debut or the Muzak-celebrated “Again & Again,” nor does it repeat the Norah Jones-on-beats motif of Ray Guns Are Not Just the Future. Instead it sounds crossover-like, anxious for some mainstream muscle. It’s still indie orchestrated, but it’s so deserving of a bigger audience.